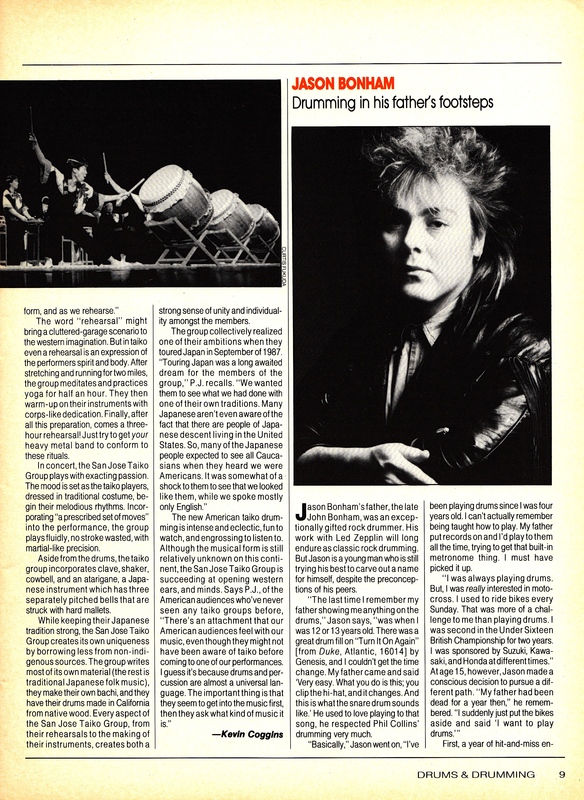 SKF NOTE: This is a profile on Jason Bonham written in 1988. Jason was on “permanent relief” from his band, Virginia Wolf; finishing a project with Jimmy Page. Ours was a phone interview. At the time, I was at home in Oxford, Maryland. Jason was at home somewhere in England. 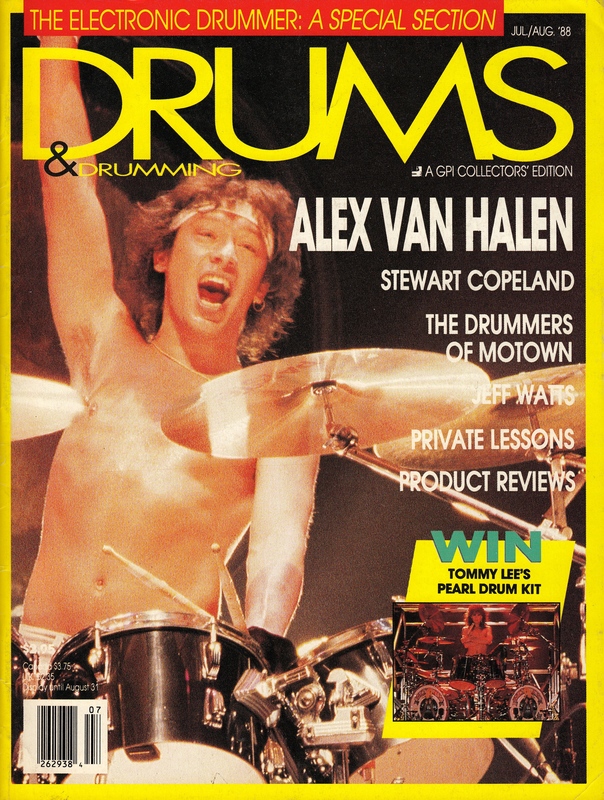 These pages were scanned from my copy of Drums & Drumming July/August 1988. 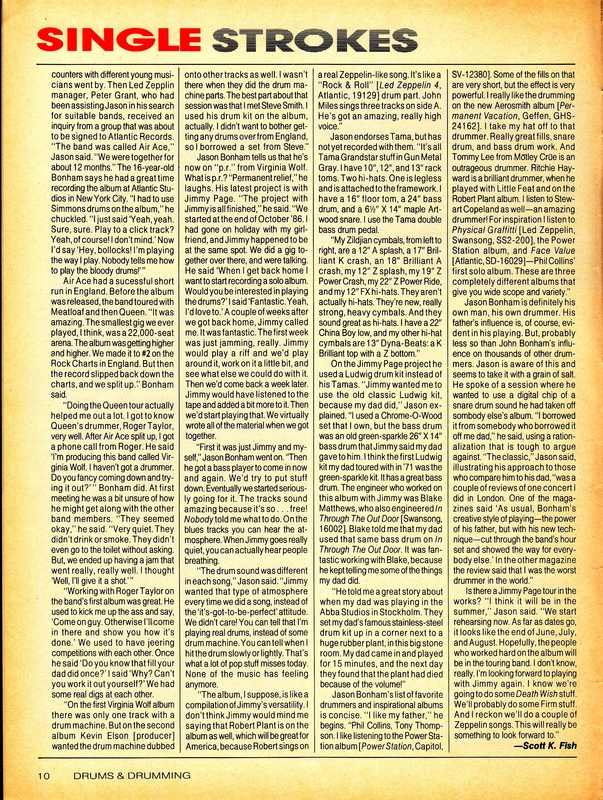 Sorry for the yellowed 27-year old pages! 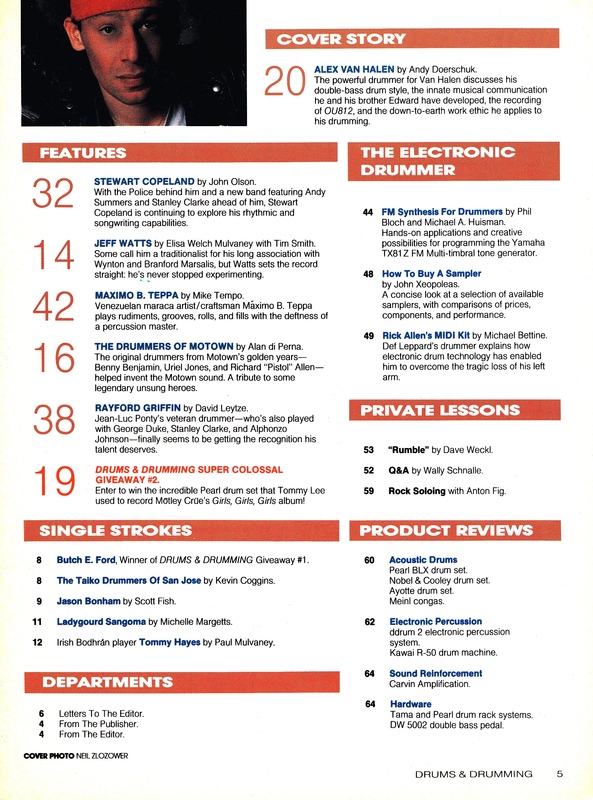 This entry was posted in SKF Blog and tagged Drummer, Jason Bonham, Jimmy Page, Scott K Fish, Virginia Wolf. Bookmark the permalink.